Smart cities are one of the key areas in which innovation will make a significant contribution to implementing system transformation towards sustainability. Smart cites are based on advanced systems of hardware and software for mutual exchanges of energy and information between supply and demand sides. They require effective integration of a variety of science and technological knowledge through collaborating with various stakeholders in academia, industry, and the public sector. Therefore, innovation systems of smart cities exhibit a significant degree of diversity in knowledge, actors, and institutions. We examine the innovation system of smart cities in Japan and its implications for system transformation towards sustainability. 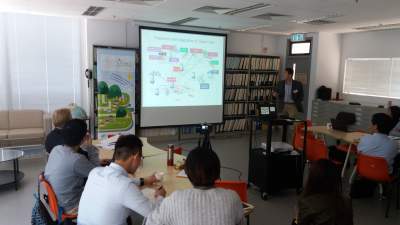 Bibliometric analysis of scientific and project documents in Japan reveal that knowledge domains basically concern renewable energy, energy storage, community energy management, and applications for home appliances and electric vehicles. Network analysis of actors suggests a concentrated structure dominated by large actors, particularly government organizations and electric and electronic companies. Policies and regulations influencing the innovation system for system transformation include economic incentives to promote new technologies, liberalization of markets for new entrants, iterated processes of road-mapping on key technologies, localization of demonstration projects reflecting specificities, standard setting for component technologies, and platform creation for stakeholder partnerships including academia, industry, government, and end users. Dr. Masaru Yarime worked at the National Institute of Science and Technology Policy (NISTEP) of the Japanese Ministry of Education, Culture, Sports, Science and Technology, the Graduate School of Public Policy (GraSPP) at the University of Tokyo. 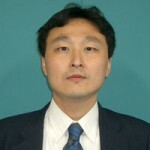 He has appointments as Honorary Reader in the Department of Science, Technology, Engineering and Public Policy (STEaPP) of University College London in the United Kingdom and Visiting Scholar of the Japan International Cooperation Agency (JICA) Research Institute. 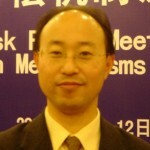 He was awarded Abe Fellow 2014 by the Social Science Research Council (SSRC) of the United States. Director and Secretary General, East Asian Association of Environmental and Resource Economics Inc.
To achieve the peak-out of greenhouse gas emissions around 2030, Chinese government has attempted to move the energy regime toward a low carbon, low coal dependent pathway. These developments, however, provoke contestations with fossil fuel incumbents. This presentation aims to explore governance structure and institution that have mitigated the contestations in China. It employs the multi-level perspective on system innovation, adding concepts of market competition, power and interpretation. Conclusions are as follows. 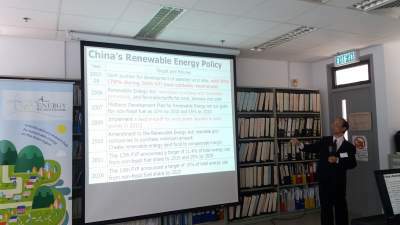 First, Chinese government minimized the contestations by shifting interpretation on renewable energy and energy import. Second, greater market competitiveness and profitability of renewables and gas changed the landscape. Third, coal has still dominant power relations over local grids. Further discussion will be made on the impact of the transition on emission trading scheme. The EU (European Union) has set itself targets for reducing its greenhouse gas emissions progressively. One of the instruments to reach this objective is the Renewable Energy Directive from 2009, which sets rules for the EU to achieve a 20% renewables target by 2020. The seminar deals with the conflicts and the institutional innovations that are emerging at the local and regional level in the context of the implementation of this policy. 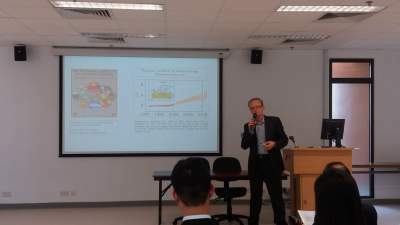 Drawing on empirical evidence collected in Sweden, France and Germany, the seminar aims at highlighting factors that influence the implementation of EU priorities, thus helping to understand political economy factors that both inhibit and accelerate clean energy transitions. The seminar will also discuss the latest proposals put forward by the European Commission in order to ensure that the EU will fulfill the commitments made under the Paris agreement and will meet its objectives for 2030. Gilles Lepesant is senior researcher at CNRS (Centre National de la Recherche Scientifique/National Center for Scientific Research). He is geographer and has published several books and papers on issues related to territorial development and to energy in Europe. Before joining the CNRS, he spent 6 years in Berlin, in Prague (Czech Republic) and in Warsaw (Poland) working on the new spatial patterns triggered by the economic transition and the EU enlargement. His current work on clean energy transitions is focused on the EU policies related to climate change and to renewable energies as well as on the transformation of energy geographies in Member States (mainly Poland, Germany, Sweden and France). E: victorlam@hkbu.edu.hk T: 3411 7187.